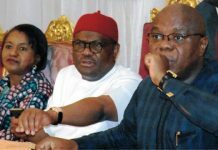 Thousands of Inter-Party Advisory Council members in Rivers State, calling for the conclusion of Collation and Declaration Process of the state governorship election in Port Harcourt, last Wednesday. 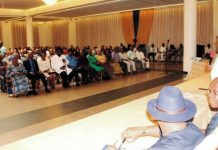 Niger Delta youths have expressed worries with the continued silence of President Muhammadu Buhari on the alleged political killings in Rivers State, calling on the international community to investigate the incidents with a view to unmasking those behind them. 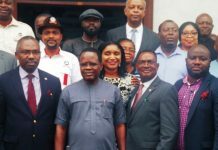 A statement signed by Chairman, Board of Trustees, Rivers State Youth Leaders Assembly, Ambassador Kennedy West, President General, Amb. 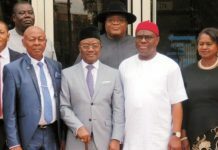 Prince Jeminimiema and the Secretary, Comrade Edward Odum also called on the Independent National Electoral Commission, INEC, to declare the winner of the governorship election in the state. “As a group, we query the continuous silence of President Mohammadu Buhari over the killing of innocent people in the state. President Buhari should stop playing the ostrich and swing into action to bring the perpetrators of election violence to book as Rivers State is an integral part of Nigeria. 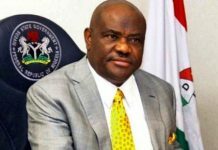 We wish to respectfully inform Mr President to realise that if there is break down of law and order in Rivers State (which will adversely affect the economy of the nation) he will be held accountable for the roles he played covertly or overtly INEC should without delay announce the results and not allow itself to be bullied by any influential politician for that matter”, the youths said. “We are calling on the British, United States and other European government to independently investigate the roles played with a view to black list their names and enforce visa restrictions on them for the ignoble role played during the elections which will serve as deterrent to other power mongers. We use this opportunity to thank Rivers state youths for maintaining public order and peace in the face of serial provocation We urge the responsible youths of the state to remain calm and be vigilant. 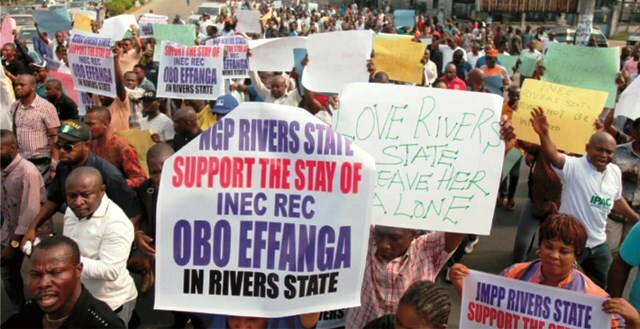 We advise Amaechi to swallow his pride, accept defeat and desist from endangering the lives of Rivers people because of his selfish ambition and 2023 interest”, the youths added. The youths further called on INEC to ignore pressure on it by some politicians in the state to redeploy the Resident Electoral Commissioner in the state.